We're halfway through the week and trucking right along! 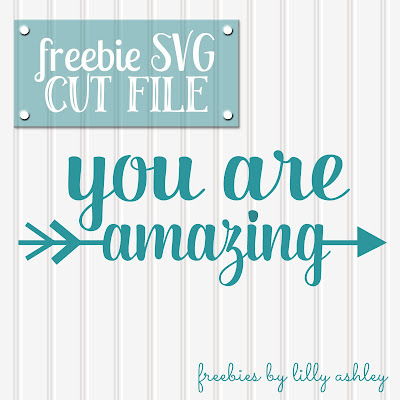 Today's freebie SVG file is meant just for our readers & visitors, because we think you're amazing! Use to make a wooden sign for the wall, a DIY thank-you card, etc! Free for personal or commercial use! Restrictions include re-distribution or selling of the files. Silhouette users...if you have the standard edition of Studio, you'll want to grab the included JPG format for using with your trace function. Grab some other freebie downloads while you're here (view our right sidebar to see our most recent posted freebies)! 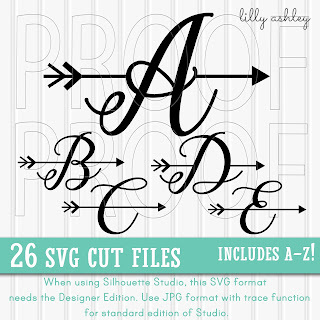 You'll find even more cutting files in our design shop, like this brand new arrow letters set of 26! Enjoy today's freebie, happy cutting! Check back soon for more free stuff! !